Being exposed to self-help books in the early eighties saved my arse. I was hungry for results dealing with an incurable disease, liver damage and the many consequences of my past behaviours. Along came a new language, words like ” dysfunctional ” ” co-dependent ” and ” inner child ” which asked more questions than they answered. 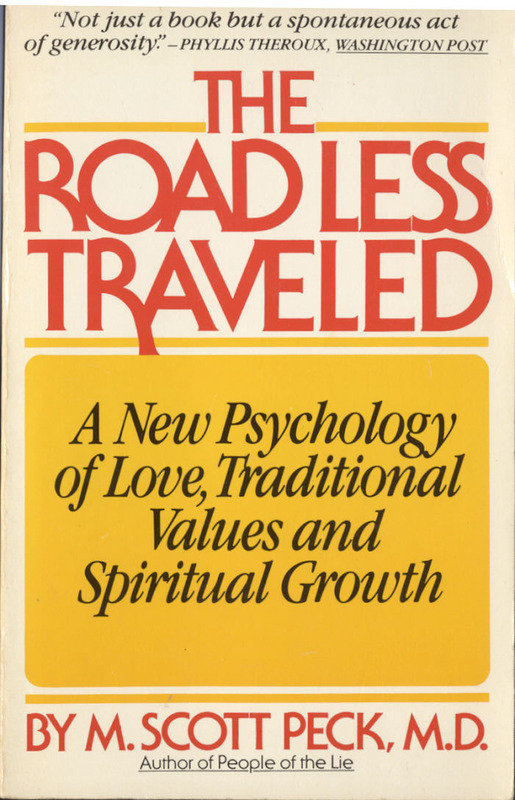 One of the major tomes that became part of the regime I call ” Airport Spirituality ” was Scott Pecks 1978 trailblazer – THE ROAD LESS TRAVELLED. Airport Spirituality is what I call dip in, dip out, working on yourself, as if snatching a spiritual best seller leaving Gatwick, to read on a Greek beach in 40 degrees is the answer to the reason why you ” need to get away ” in the first place. It isn’t. If you need to ” get away ” the best idea is often to stay put and work through it. 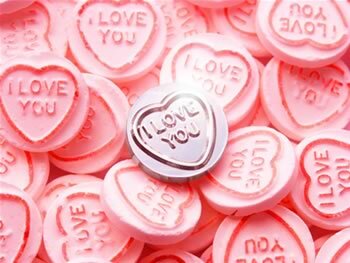 Peck’s book challenged many ideas that people hold around the illusion of LOVE and the time spent leeching rather than loving. Whatever is unhealed we bring to the table and that platform of desire is riddled with remembered LACK than remembered MORE THAN I NEED – Abundance. If you felt you were dysfunctionally parented, then you will create the same kind of relationships as an adult. ” I define dependency as the inability to experience wholeness or to function adequately without the certainty that one is being actively cared for by another. We all – each and every one of us – even if we try to pretend to others and to ourselves that we don’t – have dependency needs and feelings. All of us have desires to be babied, to be nurtured without effort on our parts, to be cared for by persons stronger than us who have our interests at heart. No matter how strong we are, no matter how caring and responsible and adult, if we look clearly into ourselves we will find the wish to be taken care of for a change. But for most of us these desires or feelings DO NOT RULE OUR LIVES. When they do rule our lives and dictate the quality of our existence, then we have something more than just dependency needs or feelings, we are dependent. Specifically, one whose life is ruled and dictated by dependency needs suffers from a psychiatric disorder to which we ascribe the diagnostic name ” passive dependent personality disorder “. It is perhaps the most common of all psychiatric disorders. People with this disorder, passive dependent people, are so busy seeking to be loved that they have no energy left to LOVE. They never feel ” fulfilled ” or have a sense of completeness. They always feel ” a part of me is missing “. They tolerate loneliness very poorly. Because of their lack of wholeness they have no real sense of identity, and they define themselves by their relationships, who they know and often live through other peoples lives “. A decade after Peck described ” a passive dependent personality disorder ” the personal development industry called it CODEPENDENCY, with Pecks illustration being just one symptom of ” the disease of NEVER ENOUGH”, that lay at the core of all addictions. Never enough LOVE, MONEY, Drugs, ALCOHOL, Food and yes, even SELF HELP BOOKS. The affirmation ” I AM enough, I DO enough, MY PRESENCE is enough . . . is an instant pacifier for recovering Codependents, so stick that dummy in your mouth whenever a LACK feeling arises. Since many codependents think they gain LOVE through DOING, or gaining approval OUTSIDE of themselves . . . love, like charity begins at home, so check out the vision of love revealed in your early childhood years and work forward. If you are expecting to be parented by your partner, or you babysit them already in the name of LOVE, it may be time for that Greek holiday after all – but on separate Islands – just to find out who you are.